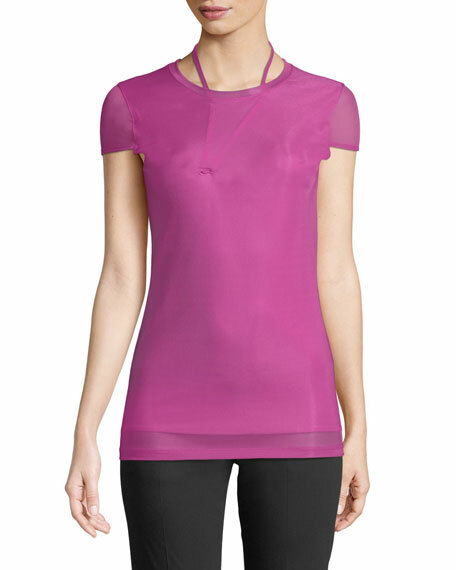 Shayne Oliver for Helmut Lang layered organza tee with pulled detail. AMO Denim "Twist" faded tee with twisted side seams. Approx. 22"L from shoulder to hem. Crew neckline. Short sleeves. Relaxed fit. Side slits. Pullover style. Cotton. Machine wash. Made in USA. ATM Anthony Thomas Melillo jersey "school boy" tee. Crew neckline. Short sleeves. Relaxed, slightly shrunken fit. Straight hem. Pullover style. Cotton. Made in Peru. ATM Anthony Thomas Melillo sun-bleached jersey tee. Crew neckline. Short sleeves. Chest patch pocket. Relaxed fit. Pullover style. Rounded hem. ATM Anthony Thomas Melillo sun-bleached jersey tee. Crew neckline. Short sleeves. Chest patch pocket. Relaxed fit. Pullover style. Rounded hem. Viscose/spandex. Machine wash. Imported. 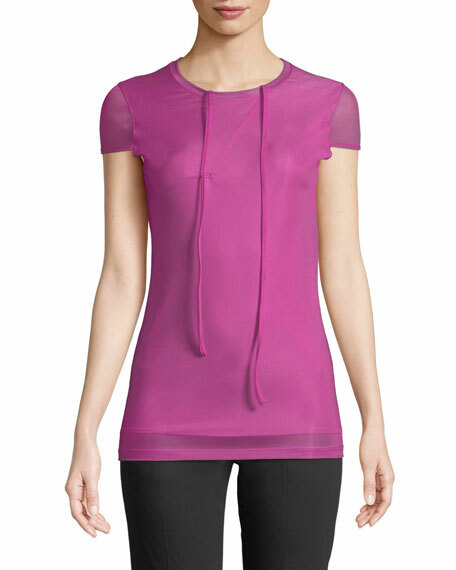 EXCLUSIVELY AT NEIMAN MARCUS Brunello Cucinelli T-shirt in cashmere with monili beading. Crew neckline. Short sleeves. Chest patch pocket. Relaxed fit. Straight hem. Pullover style. Cashmere. Made in Italy.